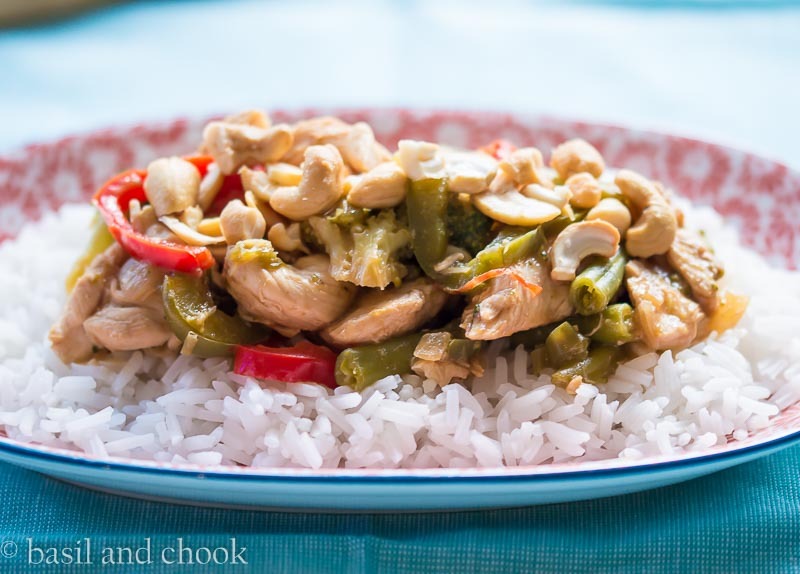 A delicious chicken meal with a blend of vegetables and served on a bed of rice. In a large bowl, add 2 tablespoons rice wine vinegar, 2 tablespoons soy sauce and 2 tablespoons cornflour. Add the sliced chicken breast and toss. In a small bowl, add the hoisin sauce, ginger, 2 tablespoons rice wine vinegar and 4 tablespoons of water, mix together. In a large frying pan, heat the sesame oil over medium-high heat. 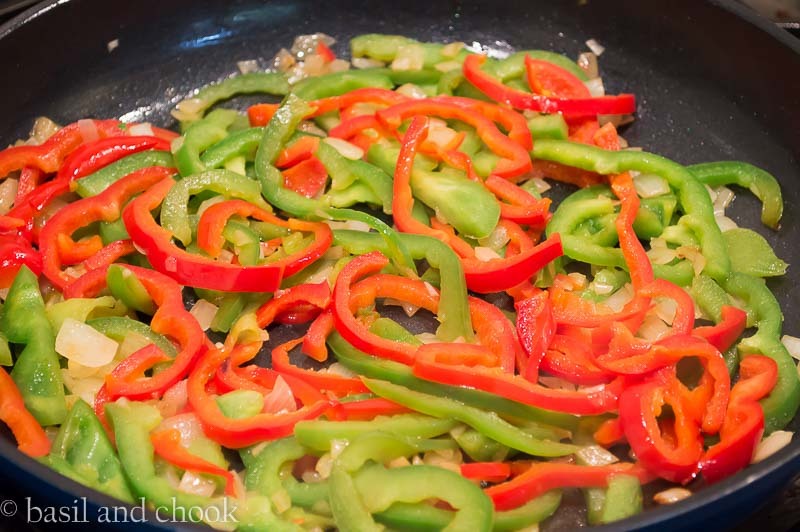 Add the onion and pepper, cook until slightly soft. 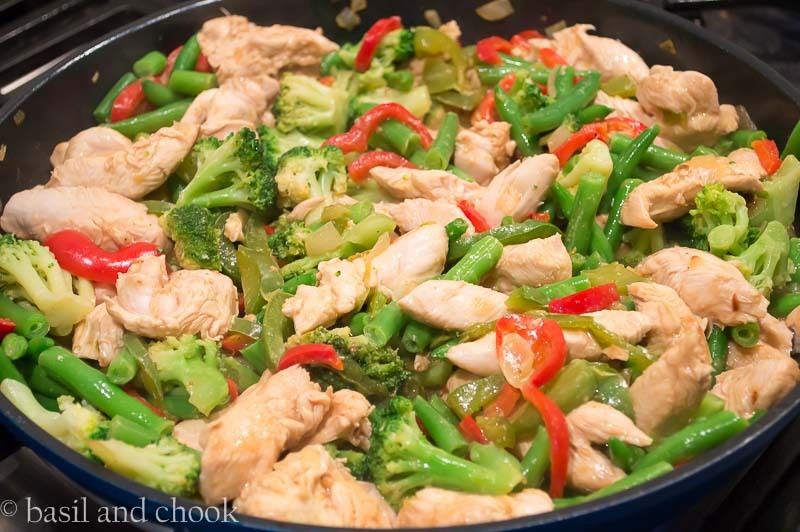 Add the broccoli, beans and sauce, cook until the chicken is cooked through. 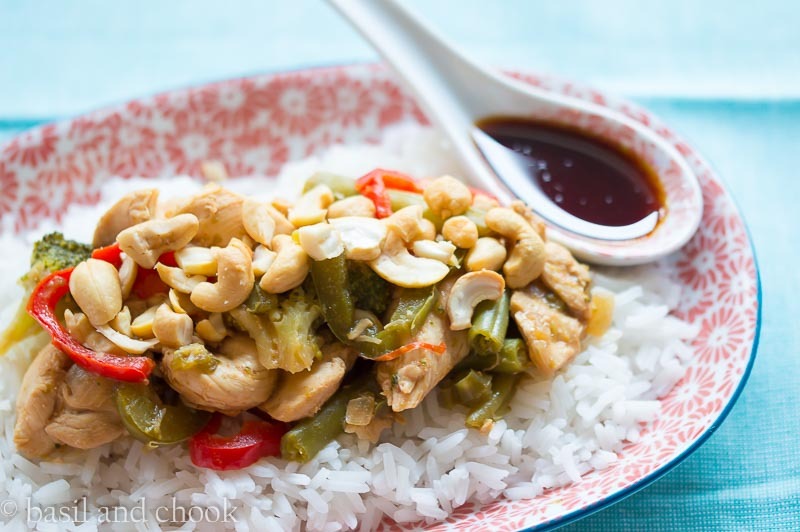 Serve with rice and top with the chopped cashews. The meal was easy to prepare and didn’t take long to make. The smell of the sauce cooking in the frying pan was making us hungry. 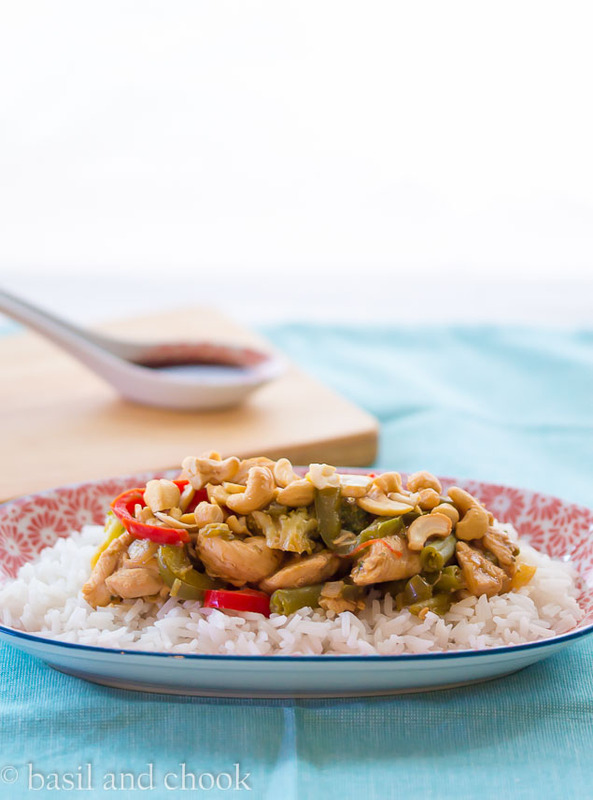 The kids couldn’t wait to try the Cashew Chicken stir fry. 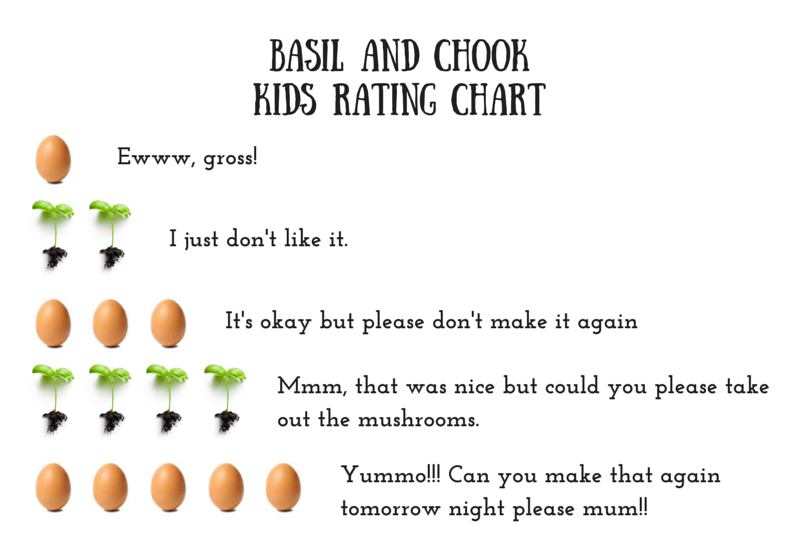 The kids rated this recipe 4 basils. 2 out of the 5 kids didn’t like the beans being too soft. Next time I won’t cook the beans too long. They liked the sauce, but we did pour some extra soy sauce over the chicken and veggies. It just went well with the dish. We do love soy sauce! Yum, this is one of my favourites. Delish.